In a world of multifunctional makeup products, shadow sticks are my favourites because as you'll have guessed by the title of this post and the packing of these guys, they work as eyeshadows and eyeliners. Anybody can colour in their eyelid, blend it out a bit and look like they've made an effort! Bourjois have launched six shades in the range and all are easy to wear colours, hence the amount of time it took me to pick these two. Back of the hand swatches show them to be pigmented, creamy and nice and opaque. Brun Dadaiste is a lovely warm coppery bronze shade and Mauve is exactly that. 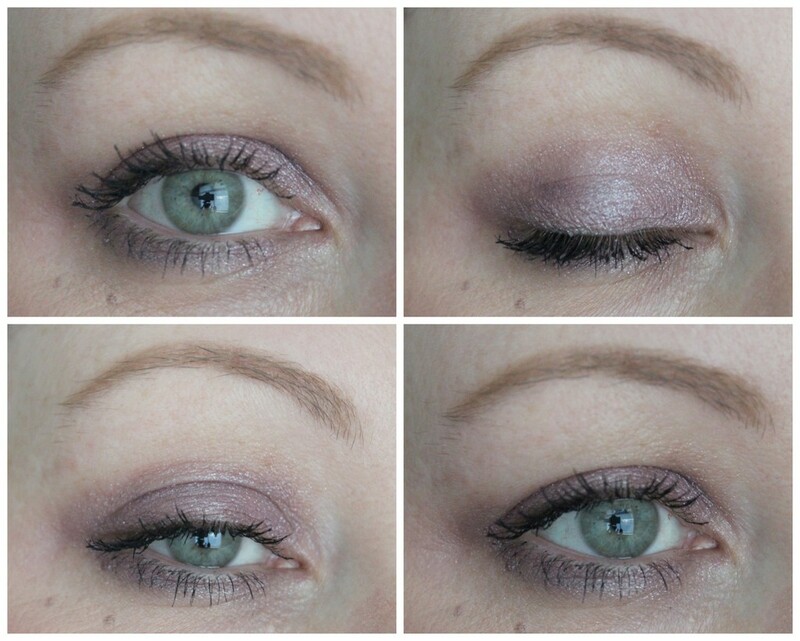 A cool toned purple with silver undertones and despite those silver undertones, it's not frosty when applied and is wearable for everyday use. Despite it being really pigmented on the back of my hand, as with all eyeshadow sticks, once you get your eyelids involved, things become a little more sheer. I like to colour in the mobile lid, taking things into the crease slightly and when I'm happy with the shape I've plotted out, I use my finger to blend out the edges just in the crease. This gives a pretty, soft look and once I take it under my lower lashes and apply mascara, I'm good to go. When using Brun Dadaiste, I applied it in the same way as Mauve, but decided to try blending the edges with a brush. I found that a brush picked up a lot of product and I had to go over things again and use my finger to blend instead. I also found this shade to apply more patchy than Mauve on the eyelids, but there's no getting away from the fact that this shade makes my eyes pop. Now, I found these to leave my eyelids quite sticky feeling after I applied them. And that's usually the case when I apply a cream eyeshadow or eyeshadow stick to my lids. But I felt that they never set. I was really aware of my eyelids every time I blinked and wasn't a fan of how sticky things felt for the whole day. And things got even stickier when I applied a second layer to make things more pigmented and evened out. But in saying that, without a primer, the product didn't actually move up until about lunch time where it all migrated into my crease. But I got a good 6 hours out of them before that happened and for someone with oily eyelids, that was pretty good going! 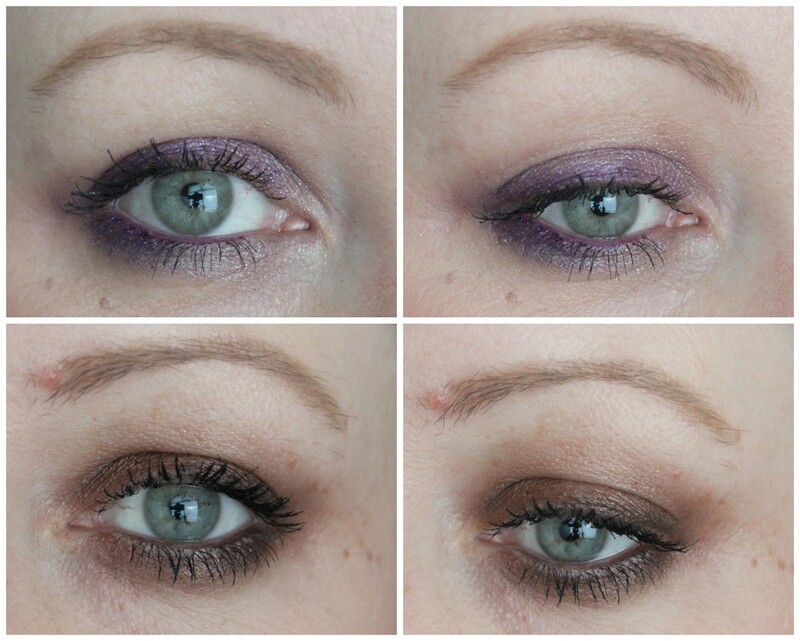 A wash of colour is grand on the lids, but I wanted to apply more makeup, as usual, and rooted out my Bourjois Waterproof Clubbing liners in the shade Purple Night and Up and Brown, to see what I could come up with. I love these liners and they don't budge at all at all. I've had them in my stash for ages now and am slowly collecting the whole range of colours. Bourjois Waterproof Clubbing liner Up and Brown, Bourjois Colorband 2 in 1 eyeshadow & liner Brun Dadaiste, Bourjois Colorband 2 in 1 eyeshadow & liner in Mauve, Bourjois Waterproof Clubbing Liner Purple Night. A bit of Purple Night on the upper lash line, along the waterline and on the lower lash line right at the outer edges makes my eyes look even greener. I forgot just how much I loved Up and Brown Waterproof clubbing liner! As you can see on my eyeballs above, it's cooler toned than Brun Dadaiste and adds more definition to my eyes while still keeping everything soft and neutral. So my verdict? As an eyeshadow stick, they're not for me. I need something that applies more evenly to the lids and dries properly. They'll make a great base though if I want to apply them all over the lids and then apply powder shadows on top of them. I'll happily keep using them as liners though. Using them that way means I can layer and amp up the pigmentation without having to deal with sticky eyelids! The Colorband 2 in 1 Eyeshadow & Liners are on stands now and will set you back €7.99. Have you tried them yet? Am I alone with my sticky eyelids?! Pretty looks.. what foundation are you wearing? It's fab! That does look real good! 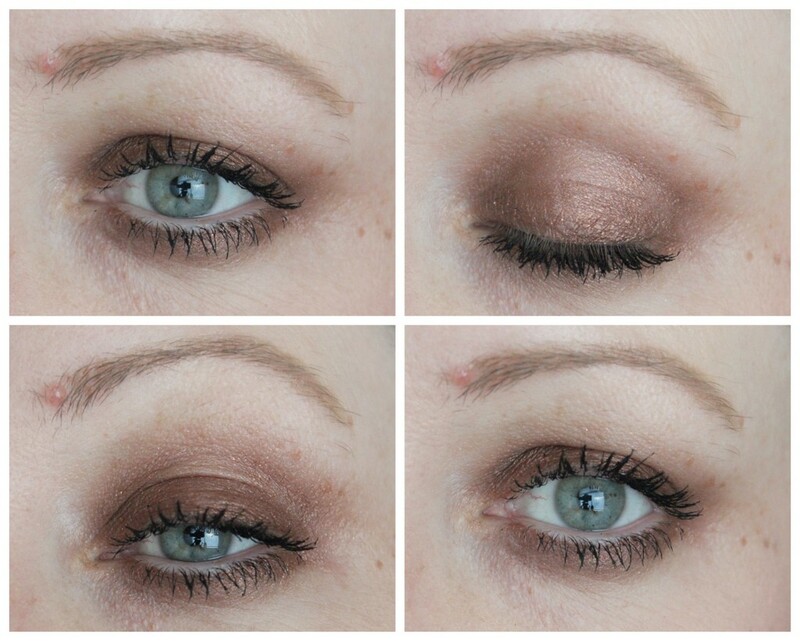 Great informative review :-) quick question, what colors would you recommend for hazel eyes? I never know if I should try and bring out the green or the brown :-(?? Pretty looks, I adore Up and Brown! they felt 'tacky' all day on my lids but the colour pay off was lovely . i too am using them as liners !